It takes a lot more than just researching different used car dealerships in Phoenix AZ. Auto Action has the tips for you to stay on top of your used car shopping game. Are you on the hunt for a used car? Your current vehicle is past its prime and you’re ready for an upgrade, but then you have to take the time to do the research and then you have to finance the vehicle. Even the experts at Auto Action know that there’s nothing fun about it. The process is frustrating, expensive, and time-consuming. But we’re here to make things easier for you in order to feel confident in making your big purchase! 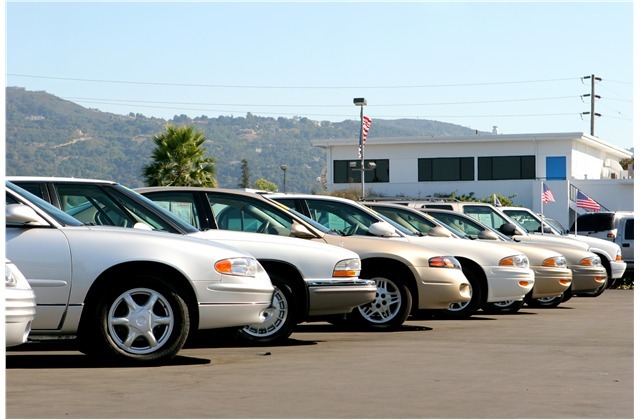 Before you browse the used car dealerships in Phoenix AZ, check out these best practices for buying a used car. Before even looking at the inventory at used car dealerships in Phoenix AZ, it’s important to figure out how much you can realistically afford to spend on a used car. When buying a car on a low budget, it’s likely you will be making monthly payments similar to what you may already pay for rent or cable. Being confident that you will be able to afford a certain amount is extremely important, as not being able to keep up with your payments will result in more debt. It’s also important to keep in mind the external costs of buying a vehicle, like insurance and registration. Do you have any friends who have recently had an experience at one of the used car dealerships in Phoenix AZ? Talk to them about what they thought of the professionals they met with and the vehicles they drove. Spend some time not only researching used car dealerships in Phoenix AZ but also researching the type of vehicle you are interested in. There are tons of online resources that are free to use, such as Kelley Blue Book or Cars.com. It’s best to already have an idea of the make, model, and year you are interested in before visiting your local dealers. Don’t ever buy a car without test driving it first! It’s important to see how the car feels when driving it. Maybe it has some blind spots you’re uncomfortable with. Maybe there are some features that are not working. Make sure you get to know your potential new car before buying it in order to make sure you don’t have any surprises after you’ve already signed the papers. Are you ready to take your research on used car dealerships in Phoenix AZ to the next level? Speak with one of the experts at Auto Action today! Simply fill out the form below, stop by our location nearest you, or give us a ring at 602-345-8000.